SVTA source shutters are designed for quick motion and long life. The source shutter assembly consists of an in-vacuum component, an external component and a shutter blade. 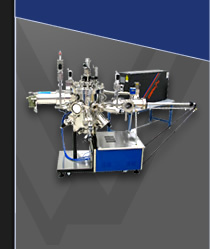 SVTA offers two basic designs – a magnetically coupled design and a bellows coupled design. With the magnetically coupled design the service life is extended over a bellow style type. 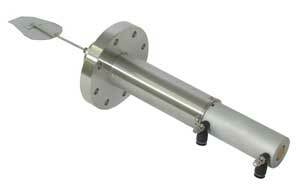 Models are available in 3 or 4 inch stroke lengths and mounts on a 4.5" or 6.0" CF flange. The shutter blades are made of either Molybdenum or Tantalum. Other materials are available on request. SVTA also offers a full computer controllable shutter package that includes a 19" rack mountable control unit (SC200M). As an option, SVTA also offers integral shutters (SVTA-IS) for your deposition sources. They can be either pneumatically or manually actuated.